If you’re a successful real estate professional looking to expand your business in apartment sales, you want to watch this video. There are 25,000 apartment buildings in Ontario and about 13,000 owners. We know all the buildings, have contact information on all the owners, and they may even know our company. However, we can’t have 13,000 relationships, nobody can! That’s where we need you. We value your geographical experience and the relationships that you build overtime with your clients. Allow us to complement your existing relationships and help you sell more apartment buildings. Imagine if all you had to do was what you love the most, sell. No paperwork, no marketing, no staffing issues, just the freedom to go out and sell. We offer our knowledge, our expertise, our resources, and other agents as part of our co-brokerage program. We attract co-brokers for the same reason we attract apartment buyers and sellers. We understand the business. We’ve sold a lot of buildings, and we’ve got a very strong platform and back room. Here’s our mission: we want to bring big-league services down to the mid-market, but we need your help. We take care the back office details and marketing. We will not contact your client – the client always remains yours. About half the apartment transactions are done by brokers who are not 100% focused on the apartment industry. We know apartments and the people that buy and sell them. Partner with rock and we can work together with you. Our centralized backroom allows us scalability across Canada. Without a backroom brokers work too hard – do what you love to do, and delegate the rest of us. We will take care of identifying the seller, finding the buyer, underwriting, and all the marketing. You service the client. By working with us you save money on marketing costs, hiring and training, managing and paying staff. You will make more money in less time. Here’s what ROCK can offer you: Firstly our database. 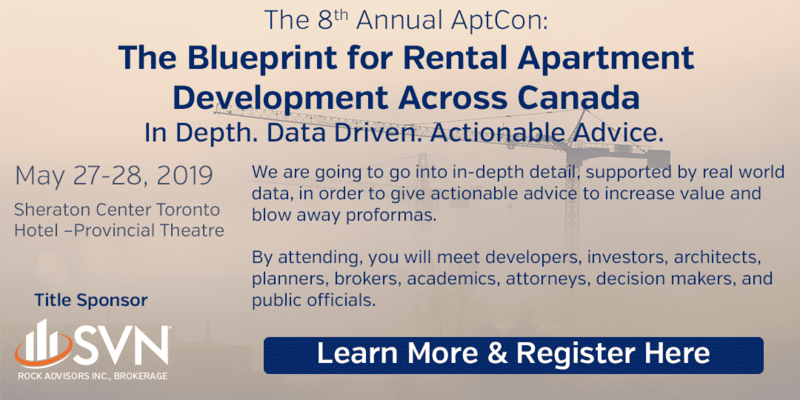 ROCK has spent hundreds of thousands of dollars building the largest proprietary apartment database in Canada. We track all sales and changes in ownership. This is the only database of its kind in the country. We use this database to identify apartment owners and to chase down listings. For more information on the database continue watching this video series. Second, we offer a full suite of marketing services. We will underwrite the building, determine the value and produce a professional building opinion of value package that will help you listings. If you want us to come on the listing presentation with you we will be there. Once you’ve won the listing we’ll create the flyer and the marketing package. Then we’ll email blast and mail to a pool of qualified buyers from our database. this is all possible because we’ve taken the time and spent the money to build the database. We will now qualify the buyers and send them to you. This is where we need your local expertise and help. Along with our brokerage expertise there’s one more service that we offer you through our sister company Derek A. Lobo and associates (DALA) we offer many value-added programs that help connect to you with apartment owners in your area and ultimately once you know them you can sell you buildings. More information on DALA’s services are available through our web sites. This consulting background through DALA separates us, and you from other brokers. We want to help you become a expert in apartment building sales. Our co-brokerage partners sometimes ask us how will they be protected? Brokers are concerned with losing their client to another broker. We will not go around any agent; we are not the stars of the show – you are. We offer the ability to maximize the value of our client’s property in the shortest period of time, and provide guidance in what can be a complex marketplace. You could be well on your way to increasing your apartment building sales. Please continue to watch the videos available on our web page and then contact us for more information. Next:SVN Rock Co-Brokerage – Part 2 – What Does the Co-Brokering Broker Do?